Insects have been on Earth 1,000 times longer than humans have. In many ways, they created the world we live in. They helped call the universe of flowering plants into being. They are to terrestrial food chains what plankton is to oceanic ones. 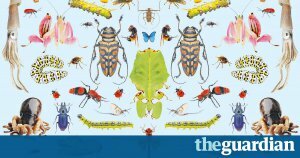 Without insects and other land-based arthropods, EO Wilson, the renowned Harvard entomologist, and inventor of sociobiology, estimates that humanity would last all of a few months. After that, most of the amphibians, reptiles, birds and mammals would go, along with the flowering plants. The planet would become an immense compost heap, covered in shoals of carcasses and dead trees that refused to rot. Briefly, fungi would bloom in untold numbers. Then, they too would die off. The Earth would revert to what it was like in the Silurian period, 440m years ago, when life was just beginning to colonise the soil – a spongy, silent place, filled with mosses and liverworts, waiting for the first shrimp brave enough to try its luck on land. Meanwhile, the new species keep piling up.